It's been a great few years for home sellers, as US home prices have steadily risen since hitting a low in 2012. Much thanks to a strong labor market, housing demand continues to increase, pushing prices even further up this year. In fact, home prices are now growing about two times as fast as wages and inflation. However, if you want to get the most out of this seller's market, you're going to need a sound strategy. Looking for invaluable home selling tips to help bolster your approach? Keep reading to learn what steps you can take to guarantee your house sells for nothing less than top dollar. Home prices may be soaring right now, but overpricing is still one of the biggest mistakes you can make. Keep in mind that home buyers are looking for the best value. Plus, if your home ends up sitting on the market for too long, potential buyers will inevitably become suspicious. And they'll become even more suspicious if you continue to lower the price of your house as time goes on. In order to price your home correctly out the gate, start by setting your emotions aside. Most of all, however, you need to obtain high-quality data. 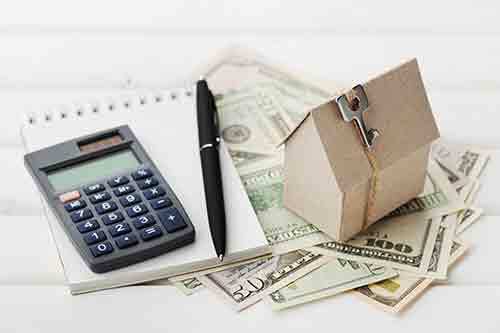 If you're looking for a realistic price assessment, your best bet is to get your hands on a comparative market analysis (CMA) from a trusted realtor. Even though you may have a deep emotional connection with your home, you must acknowledge that it has some flaws. If you try to or hide them from buyers or lie to yourself, you'll only send up slowing down the process. Being transparent and forthright will set you apart from other sellers (in a good way, of course). And what better way to do so than by getting a pre-inspection? A pre-inspection gives you a chance to diagnose flaws and patch them up before listing your home. This will help you avoid many issues not only in the beginning but also during closing. If you take a handful of poorly lit photos with your phone and write a short, bland description, your listing is bound to get overlooked and buried. Listing photos will be one of the first things potential buyers notice. Therefore, it's worth investing in a professional photographer in order to stand out. And a 3D virtual tour can take your listing to the next level. When writing a listing description, think about what buyers are looking for. Are your neighbors extra nice? Are there any nearby locations worth mentioning? Also, write in a way that encourages readers to use their imagination. If your backyard is the perfect place to sip coffee in the morning and relax to the sounds of the forest, describe it as such. Don't forget to double check your spelling, grammar, and punctuation. And feel free to hire a writer if necessary, as it will pay off. Remember that the smallest imperfections can distract potential buyers. Begin by fixing or replacing any loose doorknobs and cabinet handles. Don't forget to address squeaky doors as well. Additionally, clutter can make a home look smaller. So get unnecessary furniture and personal belongings out of your home. A storage unit is a great place to put them for the time being. Of course, repainting livens up the interior and adds value to your home. But to spruce things up outside, consider pressure washing your driveway, patio, and decking, as well as the exterior of your house. Now that you're privy to these essential selling tips, are you ready to sell your home in Florida? If you don't and want to go about the process alone and would like some guidance from the pros, be sure to reach out to us today. We can help you with everything from pricing your home to marketing and showing it!